Brooklyn made strides for sustainable homes when it revealed NYC’s very first certified passive house, and now it has two more passive house projects on the horizon. The new multi-family homes by architect Chris Benedict will be built in the Bushwick area, and both properties will have 24 units that live up to stringent energy-efficiency standards. Each of the new passive house units will provide 30,000 square feet of living space for Brooklynites at 424 Melrose Street and 803 Knickerbocker Avenue – and construction on the Melrose location is already underway! 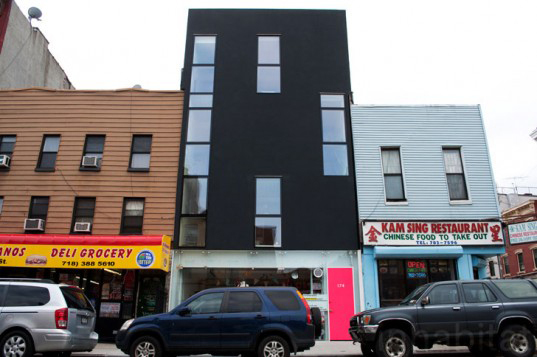 Brooklyn's first certified passive house building. Passive housing was conceived in Germany, and involves constructing extremely energy-efficient homes that are also air-tight, drastically cutting down on the need for outside utilities. The necessary heating and cooling are provided by renewable energy, making the homes’ carbon footprints as small as possible. Benedict is extremely experienced in passive house design, having designed energy efficient projects for over ten years. She focuses on built-in heating systems to create a sense of security for the residents of her buildings, while also employing energy efficiency. Both the Melrose Street and Knickerbocker property will have built-in energy systems.